I face a weird issue when I want to play Battlerite on MacOS using Wine Staging 3.18 (last release). 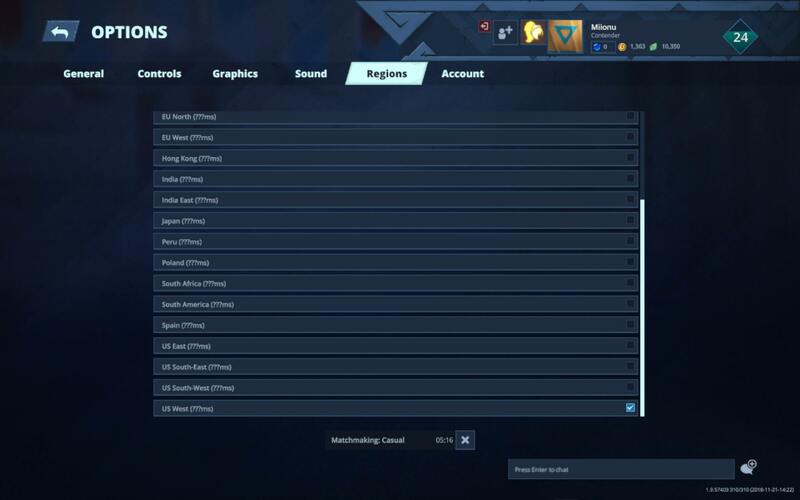 I have internet connection when I am using Steam, and I can even connect to play by picking the Korean server (see screenshot) in Battlerite but it is almost unplayable since I have 300 ping approx. Moreover, every other servers have an unknown ping (marked with ???). This is a very weird issue. Do you have some advices or would possibly know where it could come from? If you want details on the way I installed everything, just let me know.